Urban theory traditionally links modernity to the city, to the historical emergence of certain forms of subjectivity and the rise of important developments in culture, arts and architecture. This is often in response to technological, economic and societal transformations in the nineteenth- and early twentieth-centuries in select Euro-American metropolises. In contrast, non-Western cities in the modern period are often considered through the lens of Westernization and development. How do we account for urban modernity in "other" cities? This book seeks to highlight cultural creativity by examining the diverse and shifting ways Istanbulites have defined themselves while they debate, imagine, build and consume their city. It focuses on a series of exhibitionary sites, from print press/photography, cinema/films, exhibitions of architectural heritage, theme parks and museums, and explores the links between these popular depictions through shared practices of representation. In doing so it argues that understanding how the future is imagined through images and interpretations of the past can broaden current theoretical thinking about Istanbul and other cities. In line with postcolonial calls for a comparative urbanism that decouples understanding of the modern from its privileged association with Western cities, this book offers a new perspective on the lens of urban modernity. 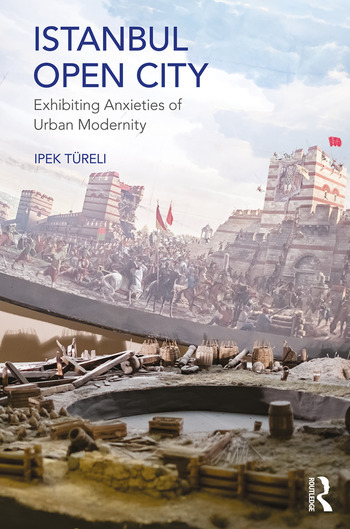 It will appeal to urban geographers and historians, cultural studies scholars, art historians and anthropologists as well as planners, architects and artists. Ipek Türeli is Canada Research Chair and Assistant Professor of Architecture at McGill University, Canada. She holds a PhD in Architecture from the University of California Berkeley, USA. Her published work focuses on visualizations of the city in photography, film, exhibitions, theme parks and museums. She has been awarded several grants and fellowships for this work, by the Graham Foundation, the Middle East Research Competition, the Andrew Mellon Postdoctoral Fellowship at Brown University and the Aga Khan Fellowship at MIT. She is the co-editor of Orienting Istanbul (2010), Istanbul Nereye? (2011) and guest editor of International Journal of Islamic Architecture’s special issue on "Streets of Protest" (March 2013).